Increased appreciation of rupee against the dollar is to get pressure on gold and silver. MCX has taken over the fall in gold and silver. 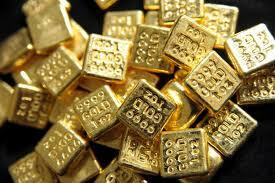 With loss of 0.17 percent on MCX gold is trading below 29600. While Precious metals silver has slipped 300 Rs from cost price and trading rate is 51270 in may contract. You Can Sell MCX Silver near around 51,250 and targets 51000, 50750 Stop Loss 51750.